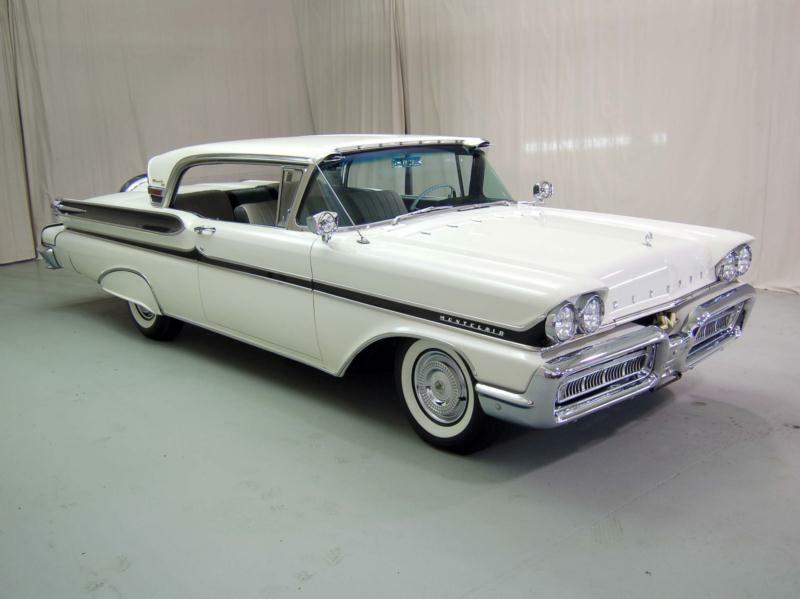 The Mercury division reached a high point in 1957, when it was advertised as “America’s most changed car.” The line was led by the mid-year Turnpike Cruiser, which was a three-model line crammed with all the gadgets the company could imagine. The convertible from this line was chosen to pace the 1957 Indianapolis 500 race. 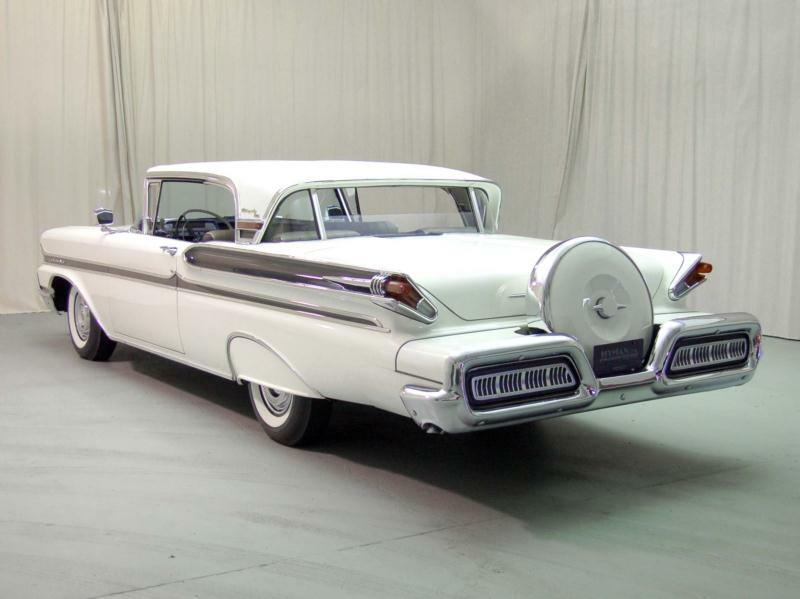 For the first time, Mercury had bodies that were exclusive and not based on Ford or Lincoln. The Turnpike Cruiser debuted as a concept in 1956 and most of the ideas carried through. 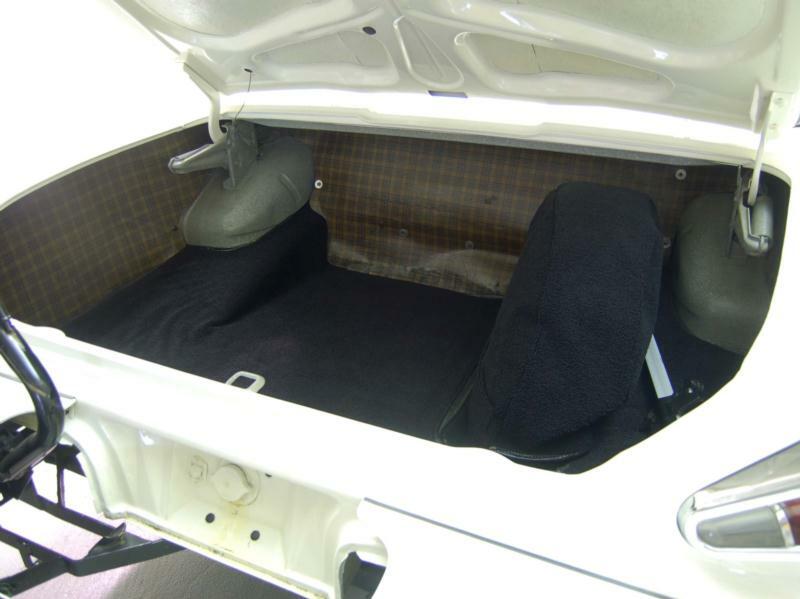 The new chassis design and the lowered floor pan increased interior room while shortening the overall height of the car by four inches. Ford included a new ball-joint design that moved the lower control arms farther back. The lengthened rear leaf springs were splayed, and the gas tank increased to 20 gallons. The most distinguishing characteristics of the car include a compound curved windshield that extended into the roof, and small wing-like fenders sweeping back with a gold anodized insert, ending with flush-mounted taillights. A power operated retractable “breezeway” rear window would be a Mercury feature for the next nine years. The power seat had a “memory dial”, and there were sliding door locks. The most common option was the continental rear-mounted spare tire. The Turnpike Cruiser engine was based on Lincoln’s 368-cid V-8, and produced 290 horsepower. 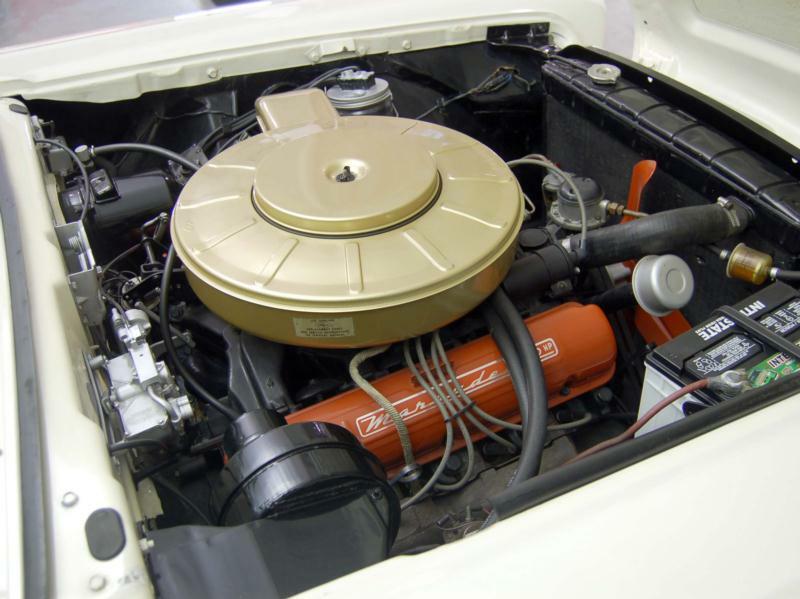 Also available was a 312-cid V-8, beefed up to 255 horsepower, with a high-lift cam and Ford’s first spin-on oil filter. About one third of the 1957 Mercurys came with four headlights, which were still illegal in some states and Canada. Turnpike Cruisers were sold with three different body options; 7,291 two-door hardtops were made, along with 8,305 four-door hardtops, and 1,265 convertibles. 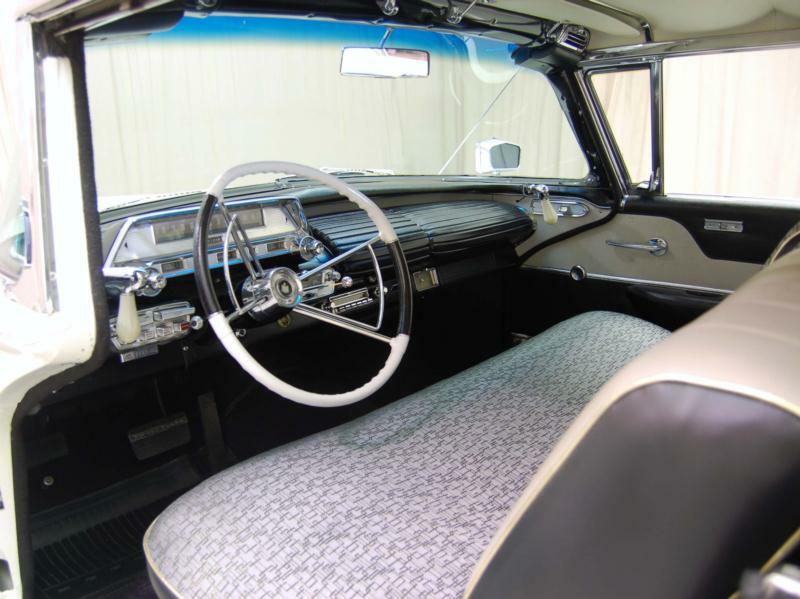 Convertibles lacked the roof and windshield gadgets, and so received special checkerboard fender ornaments, bright lower quarter panels, Convertible Cruiser badges and the rear Dream Car Spare Tire Carrier. 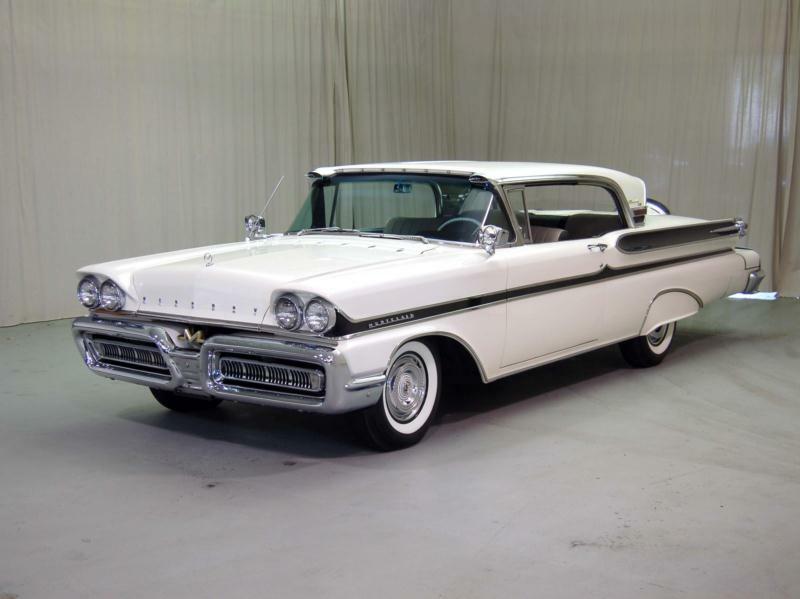 Unfortunately, the Turnpike Cruiser suffered from some quality control issues and was incorporated in the the Montclair family for 1958, at which point the convertible was dropped. These cars are interesting and stylish artifcats of the 1950s, however, and are a great choice for someone who wants something slightly different.